Braids are the to-go hairstyle for any occasion. Casual day-to-day school or work calls for a comfortable hairstyle that enables you to do anything at ease and there are braided hairstyles that will keep you cool and confident to do those activities on a daily basis. There are also braided hairstyles perfect for romantic date nights or party-time with friends, which are rather more sophisticated and trendy-looking. There are easier braids and there are those hairstyles that will take some time to do. Still, these are pretty easy and can be done at home with just a few tools, there’s no need to call for a professional. French Braid – French braid or French plait is done by taking a small section of hair on the crown, dividing it to 3 sections and then doing a regular braid while gradually adding hair to each section that crosses another. Dutch Braid – Dutch braid is basically the opposite of French braid. This is almost the same as French braid but the crossing is done under each strand. 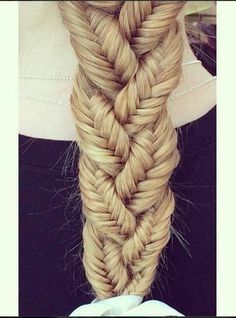 Fishtail Braid – Fishtail braid looks like a regular braid but is a more intricate and woven piece. It is actually done with just parting the section of the hair into two. A small section of the parts are used to pass over to the other section. This is repeated until you reach the end of the braid. Pancake Braid – Pancake braid is simple. 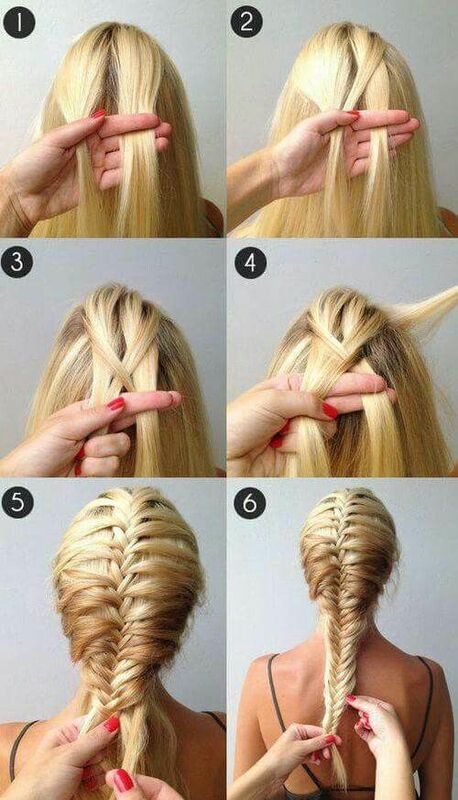 Just do a regular braid and then pull the braids to flatten it. Just make sure you don’t overdo it so the braid will not come loose. And so, here’s a list of braided hairstyles that you can try for a whole month! Cast a glance. Learn how to do a beautiful pony that will make everyone jealous! Here’s a tutorial on how to do this stunning hairstyle. Think your fishtail braids are getting a bit boring? 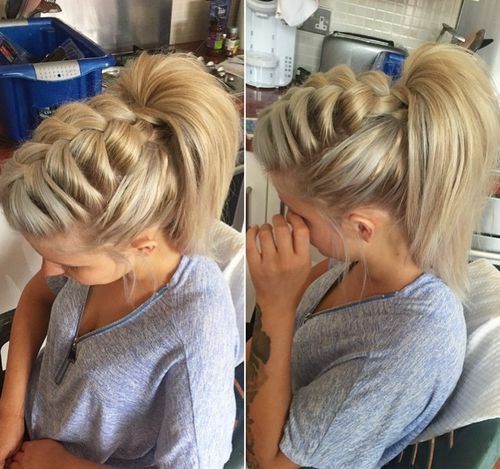 You can now try to spice it up by combining it with a French braid technique. Make your braids appear fuller and bigger with this pull through braid tutorial. It can be a great hairstyle for any occasion you’re going to. If you want to know how to do the other complicated braids, you need to know how to do the basic braids – including French braid. The Boxer Braid is actually a double Dutch braid turned into pigtails. It’s a great hairstyle if you want to keep your hair away from your face. Buns are classic and elegant, but adding braids makes it twice as better. Get ready for a Bohemian-inspired look! Want that messy bun but don’t want messy bangs? This hairstyle will really help you with that struggle! Here’s a great hairstyle for cheerleaders. It’s something that is preppy and fun, while keeping your hairstyle practical for your dance moves. Here’s another variation to the Boxer braids. Keep your bangs secured by doing a back French braid. Then simply add waves for a touch of sophistication. 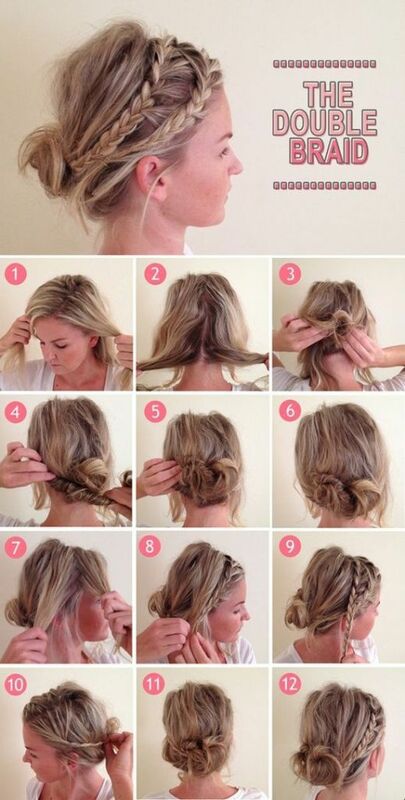 The bun may look complicated, but it’s an easy hairstyle you can do for formal events. Waterfall braids are effortless but beautiful. Look and feel the same by recreating the look. It’s simple but a perfect hairstyle for days you want to look more feminine. The “messy” look is definitely all the rage now, especially for casual looks. This messy side braid may look messy but it’s going to make you look fresh everyday. Get this glamorous and chic look by following this step-by-step tutorial. Katniss Everdeen of The Hunger Games trilogy has the iconic braids that was actually made for her character. It was done for practicality (what with the action and with the archery) while showing off Jennifer Lawrence’s beautiful and fierce face. You can recreate the look by following these steps. Be more creative with your ponytail by recreating this look. Simplicity is beauty and here’s a simple look for a day at school or work. Buns are practicality the best look for lazy people. But this bun is done with more care and with more time. Nonetheless, the results are great. Braided crowns are often complicated but here’s a braided crown that is easy to recreate. Part your hair into three sections and then do a fishtail for each section. Once you are done, you can braid the finished fishtail into one braided look. 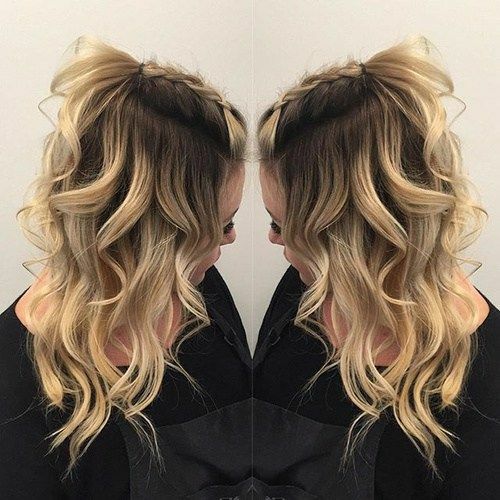 This beautiful half-up boho look is everything you need when you’re trying to go for a relaxed look. Here’s a sweet braided look that you can do on a normal school day! Mermaid hair may call for dyeing the hair into blues and greens. 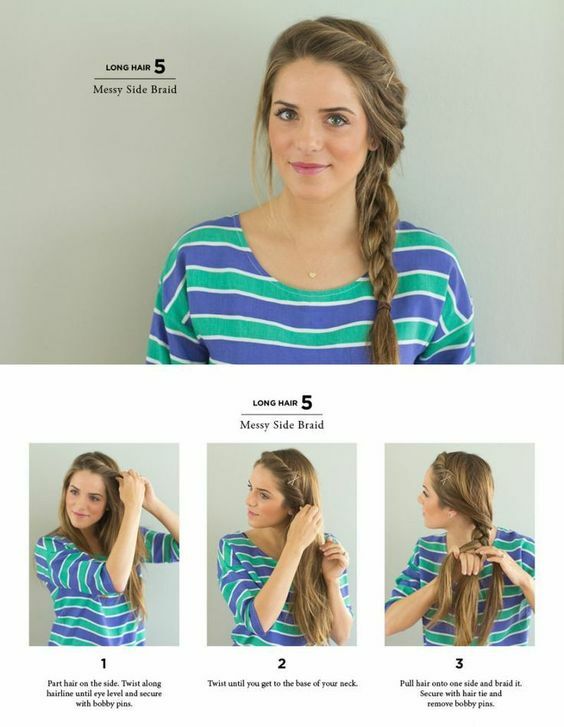 But now, achieve a mermaid look by doing this wonderful braid. Spice up your ponytail a little more by adding a side braid to it. It’s easy and definitely fun. Braids are often done with three sections only. But make it look a little more different and more intricate with four strands. Learn how to do so with this! Headbands are hair accessories that make you look great and help the hair stay away from the face. A lace headband does the latter but improving the way you look more. Pancake braids are basically normal braids that are made flatter and bigger by simply pulling on the braids carefully. This look somehow looks like a complicated braided hairstyle. But it’s really simply and just requires a few more elastic ties than usual. Make your fishtail braids more casual by pulling the braid through carefully, making it elegantly messier. 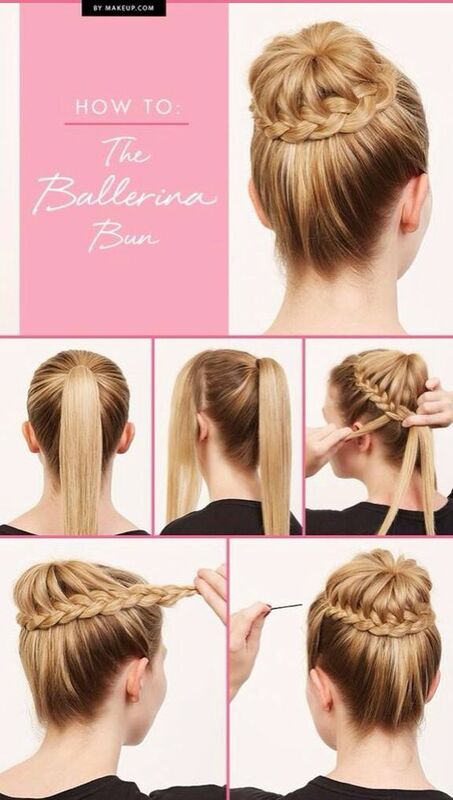 Do a ballerina bun for your next dance routine. Turn the classic updo into something much more sophisticated and stunning by doing this tucked double braided bun. The milkmaid braid is everything you want for a posh look. Which braided hairstyle is your favorite go to? 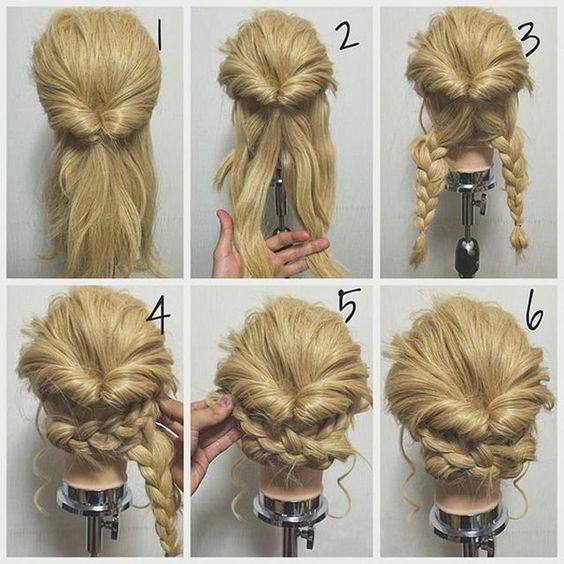 Feel free to share your braid tutorials in the comment section below.